Christmas is coming and if you’d like to get yourself into the festive spirit, take a read of the latest blog by Guideline Coaches. We’ve put together a list of some great Christmas markets that will fill you with festive cheer. Recognised as one of Europes best Christmas markets, the Winchester market is a hive of activity. Located in Winchester’s Cathedral, it boasts high-quality exhibitors, festive foods and even a British Crafts Village, and over 100 chalets to explore. If you’re looking to jump in head first to the festive season, this market is not one to miss. 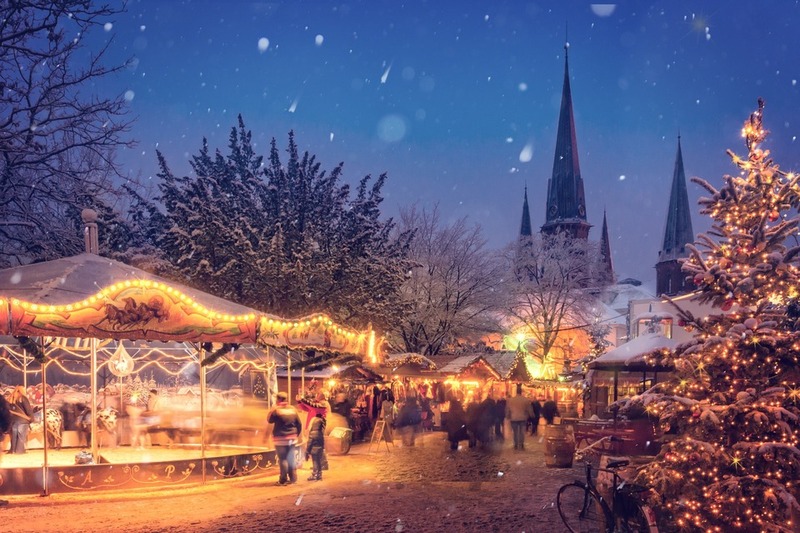 Set in a stunning city, the Salisbury Christmas market hosts a wonderful collection of artisan products, gorgeous gifts and tantalizing food and drink from across the South West. In addition to the market, there will also be an all-weather ice rink, providing fun and laughter for all the family. Based in Hyde Park in London, Winter Wonderland is a long-standing Christmas market with a twist. With a plethora of rides to thrill you, you’ll also be able to enjoy tasty treats from hot doughnuts, crepes and pancakes, alongside mulled wine, hot chocolate and a variety of other popular beverages throughout the many stalls and bars available. Come to the Bath Christmas market for 18 days of merriment. With over 160 sparkling chalets spread out across the city’s enchanting Georgian streets, you won’t be short of beautiful gifts. Whether you need something for the in-laws or an aunt you only see on special occasions, there’ll be something for everyone. Over the festive season, Guideline Coaches take a wide variety of trips. If you would like to discover a new city or are plannign a trip away and require private coach hire, we welcome you to contact us. Please call our friendly team on 01959 533 543 to find out more about our excursions or send your message through our online enquiry form.